Sakaar in Thor Ragnarok made Las Vegas look like a fast food playground. The Grandmaster is like an evil Willy Wonka mixed with Caligula, but without the singing, and everyone who got a golden ticket had to fight for their lives as gladiators. Let’s explore some of the many legal issues on Sakkar. Valkyrie spent centuries in exile on Sakaar capturing “contenders” to be sold to the Grandmaster for gladiator games. 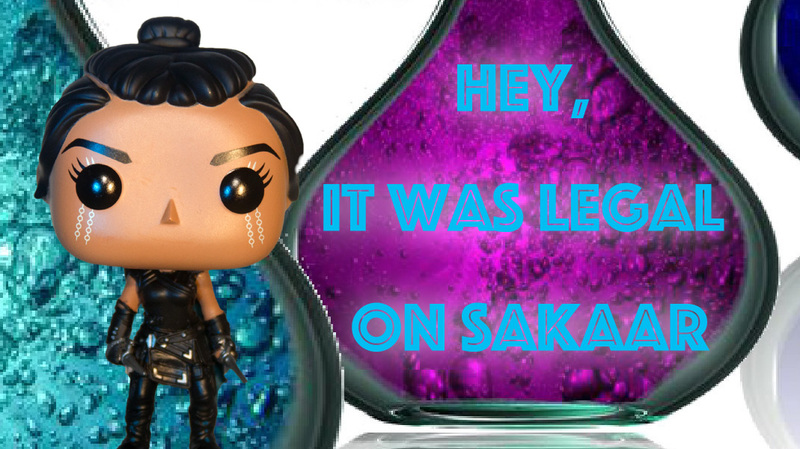 While Valkyrie clearly suffered from PTSD and alcoholism for longer than many nations have existed, there is no way around the fact she kidnapped and trafficked sentient life forms into slavery. The law prohibits kidnapping and selling people into forced labor. Whoever kidnaps someone for the purpose of forced labor can be imprisoned for life. See, 18 U.S.C.S. § 1590. Valkyrie kidnapped both Thor and the Hulk, who she subsequently sold to the Grandmaster. It is unknown how many others she sold to fight for their lives in the Grandmaster’s arena, but she had the reputation of bringing the Grandmaster “prized” fighters for the arena. Valkyrie’s decision to help in the liberation of Asgard does show Valkyrie sought atonement for past actions and making a significant life change for redemption. How Many “Dougs” did the Hulk Kill? Pugilistic contests between two fighters are highly regulated sporting events. In California, those who organize amateur or prize fights are guilty of a misdemeanor, and can be jailed for at least thirty days and not more than a year. Cal. Penal Code § 412. States such as Nevada allow boxing matches of unarmed combat where a contestant can reasonably be expected to suffer injuries. Nev. Rev. Stat. Ann. § 467.0107. The battles in the Grandmaster’s arena were armed gladiatorial fighters where death was an excepted result. Moreover, the Grandmaster offered freedom to those who could beat the Grandmaster’s “champion,” the Incredible Hulk. One fatality of those matches was an individual known as “Doug.” It is unknown how many “Dougs,” were killed by the Hulk, but apparently enough for the Hulk to develop a fan base that supported an industry of Hulk-themed signs, masks, and green fireworks. The gladiatorial fights on demonstrate Sakaar objectively lacked any rule of law founded with a sense of morality. Entertainment with mutual combat that can result in death, which is where two individuals engage in a duel or fight by mutual agreement, is highly suspect. People v. Fowler, 178 Cal. 657, 671-72, 174 P. 892, 897-98 (1918). The only way self-defense can used to justified killing one’s opponent in cases of mutual combat, is by “retreating to the wall,” thus showing there is no other way to escape without killing the other party. Id. Korg’s revolutionaries had a legitimate reason to revolt given the fact they were forced to fight for entertainment. It is worth noting that the Christian emperors in Rome ended gladiatorial combat not because it was cruel, but because the fights “presupposed that salvation could be achieved through military valor” which “conflicted with the eschatology that Christians were trying to teach.” ARTICLE: PICKING AT MORALS: ANALYTICAL JURISPRUDENCE IN THE AGE OF NATURALIZED ETHICS, 26 S. Cal. Interdis. L.J. 493, 510-511. As much as the Grandmaster claimed the revolution ended in a tie, there is no doubt those who were enslaved to fight would put an end to the games. 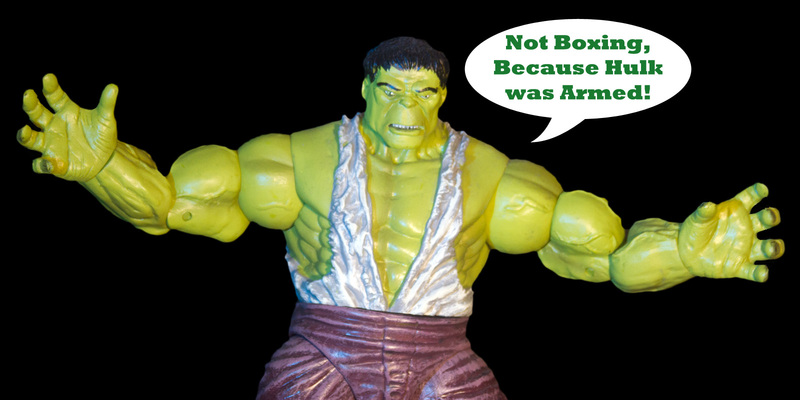 As for the Hulk, it is not known how many people he killed in combat, or how many died of injuries after their fight. Regardless, there is a huge problem for the Hulk, because it appears he killed others for entertainment, which has no legal justification. It is extremely difficult to defend Valkyrie and Hulk for their actions on Sakaar. Valkyrie potentially spent centuries capturing people and selling them to slavery. The Hulk participated in an unknown number of gladiatorial battles that produced an unknown number of fatalities. Taking the position these actions were legally permissible because Valkyrie and Hulk were on Sakaar requires accepting that morality is relative. What is “right” verses “wrong” are not contingent on location, which makes these issues very haunting from Thor Ragnarok. Previous articleAre Asgardians Refugees under International Law?